Custom built home with well thought out floor plan. Home is builders personal residence and offers many upgrades such as moldings and finish work. In the kitchen you will find plenty of cabinet & counter space, a center island as well as pantry space and a brkfst area. There is a pass through window that opens kitchen up to great room. Hardwood flooring is throughout the living area. The dining room is spacious and will accommodate most dining rooms suits nicely. Home offers a very roomy master suit w/ private bath, whirlpool tub /large sep shower & walk in closet. The 2nd & 3rd bedrooms are joined by a Jack & Jill bath. 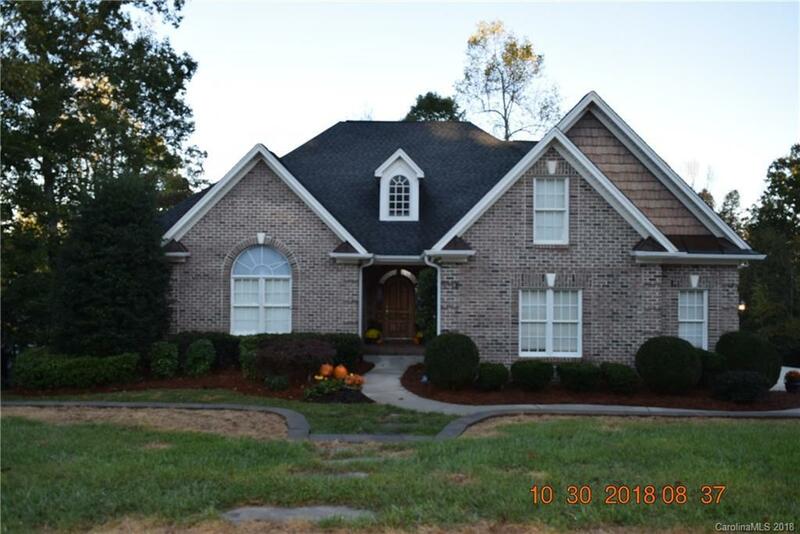 The upstairs offers numerous possibilities w/ a large bonus room plus the 4th bedroom,an office and a half bath (4th BR is accessed off bonus rm.) In addition to this there is a large screened porch, deck and also a patio area. This home offers tons of storage inside and out w/ approx 375 sq feet of concrete floored storage in stand up area under home w/ roll up door.